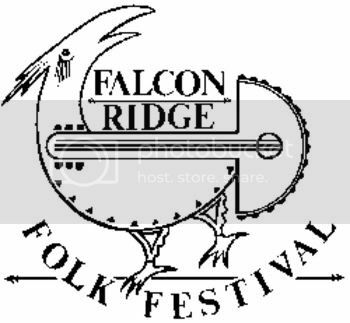 There was so much amazing music at the Falcon Ridge Folk Festival that, by the end of the festival, I was telling all of the musicians I met that, as much as I liked their work, I wasn’t sure I would be able to fit it all in here. In the meantime, I have continued to receive a steady stream of music since I got back, from artists who weren’t even at the festival. Still, I want everyone I met at the festival to know that, if I told you that I wanted to find a way to get your music on Oliver di Place, I meant it, and the door is still open. Here is another batch of the wonderful artists I heard and met. This time, as I put this post together, I noticed a pattern. Falcon Ridge included an array of artists who together represent a good overview of the current state, and even the current definitions, of folk music. “Definitions”, because the term means different things to different members of the audience, and even to different artists. Let’s have a look. Falcon Ridge has an event called The Emerging Artists Showcase. Each artist or group gets to perform two songs, and festival attendees get to vote on who should be invited back the next year for a featured set on the main stage. So it’s a high stakes situation, and I would think that opening or closing the showcase is particularly important. To close, you have the chance to knock ‘em dead, and make it impossible to vote for anyone else. Evie Ladin closed the showcase this year, and she surprised me. She didn’t bring out a full band and leave everyone with a rousing folk anthem. Ladin came on stage alone, with just her banjo. She played and sang a song that sounded like it had been echoing through the Appalachian Mountains for 200 years, and she did it beautifully. And then she set the banjo down. Was she about to close the show with an a capella number? Sort of. The stage was one of these portable metal things you often see at festivals. Usually, the stage has no bearing on the sound. But for her last song, Ladin accompanied herself by dancing, and in this way, provided her own percussion. From this description, you can tell that Ladin is steeped in the traditions of Southern Appalachia. But she writes most of her own material. On her album, she has a quartet and additional musicians on some tracks. Banjo is her only instrument on the album, but there are times when she knows that a song does not need it, so she puts it down and lets the band do its thing. 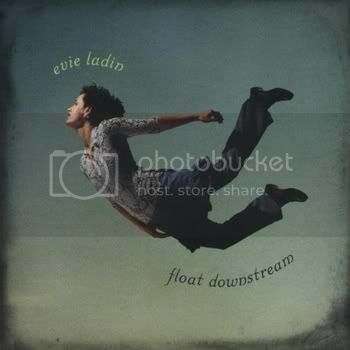 Ladin’s talent is such that her original songs stand proudly along side traditional tunes, and you can’t always tell which is which. And her performance and that of her band put this material over beautifully. 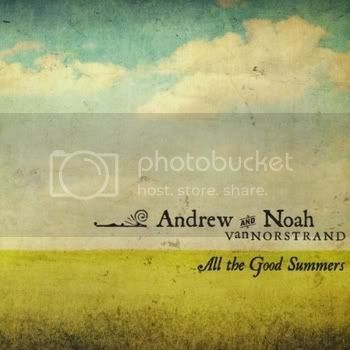 I met Andrew and Noah Van Norstrand in the dining tent one evening. They had not performed yet, and I only recognized them because they were carrying a box of CDs with them. After chatting with them for a while, I told them about the blog. I told them that I had no idea what they sounded like, but if they wanted to take a chance, I would promise to give their CD a listen. I’m glad I did. As it happened, I was not able to catch their set; I hope to get a chance to fix that in the future. When you finish listening to Samuel Mason, don’t go looking among lists of traditional bluegrass for the song. Andrew Van Norstrand wrote it. Yes, it has the feel of a traditional bluegrass song, and its tale of piracy also sounds like any number of old songs. And yes, the brothers’ high harmonies sound authentic. But the Van Norstrands take bluegrass as a jumping off point. On the album, not all of the songs sound like this. The Van Norstrands are musical alchemists, who take the component parts of bluegrass and see what it can be transmuted into. Even Samuel Mason has accordion and electric bass, so this is not a traditional performance. And some of their experiments go further. I’m not sure they have made gold yet, but this music is certainly bright and alluring. Gathering Time is a trio, consisting of two men and one woman. All of them are songwriters, and all play guitar, as well as other instruments. The obvious model for this is Peter Paul and Mary, and indeed, Gathering Time covers one of the earlier trio’s songs here. That is Light One Candle. I love the original song’s melody and harmonies, but I always thought that Peter Paul and Mary’s version was overproduced. 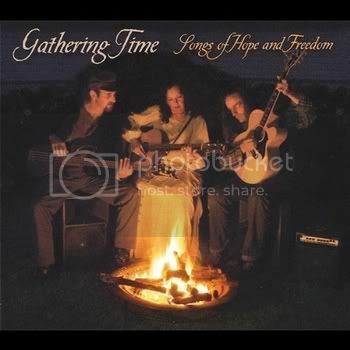 Gathering Time solves that problem, and they have the talent to carry the song beautifully. But what really makes a group like this work for me is the strength of their original material. And Halley’s Comet is as good a piece of songwriting as you are likely to find. What starts as a ballad of missed chances turns into something far more poignant. I won’t spoil it by saying any more, but this one puts a lump in my throat whenever I hear it. On the rest of the album, each member of the trio shows themselves to be a fine songwriter, and the band displays fine taste in covers. The light touch in production keeps the focus on the songs, and the performances only enhance that. 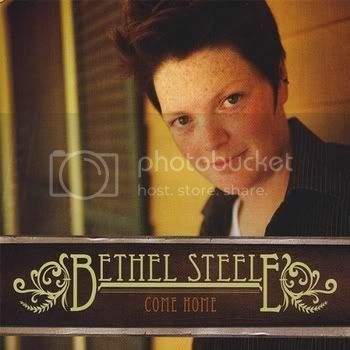 Bethel Steele writes simple and direct poetry, and sets it to beautiful music. She writes in the first person, and I get the sense that she has lived these songs, even if they did not all happen to her as described in the lyric. She sings in a smoky alto, and she never raises her voice. But the emotions come through loud and clear. At the festival, she appeared solo, with just her guitar for accompaniment, and her songs worked that way. But, on the album, she is backed by a small band, and she makes particularly good use of cello and fiddle. She proves to be a very talented arranger, and her songs shine as a result. The singer-songwriter movement started in the early 1970s. By now, it can be called a tradition, and with Bethel Steele, it is in good hands. Old time ballads. Bluegrass. The folk-pop of groups like Peter Paul and Mary. Singer-songwriters. Strands of all of this and more can be found in the music of Barnaby Bright. Many people say that Irish woman have the best voices in all of folk music, and Becky Bliss is not Irish, but her voice is that kind of beautiful. On stage, Becky Bliss sang while Nathan Bliss played harmonium, and there was also a guitar player. It sounded like something ancient and haunting. On album, Nathan Bliss plays more instruments, and there are other musicians on hand to fill out the sound. Some of that ancient quality is gone, but the emotionality remains. The band includes drums and percussion on many songs, so the music also has more drive than it did live. And Sacha Groschang, who I had not heard of before, contributes beautiful cello parts. 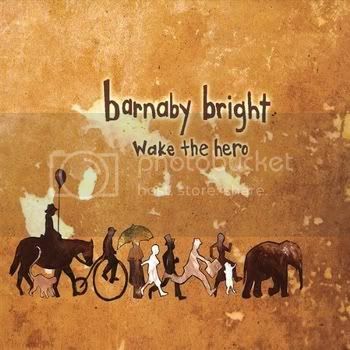 Barnaby Bright may be one answer to the question of where folk music is headed. I look forward to hearing more.